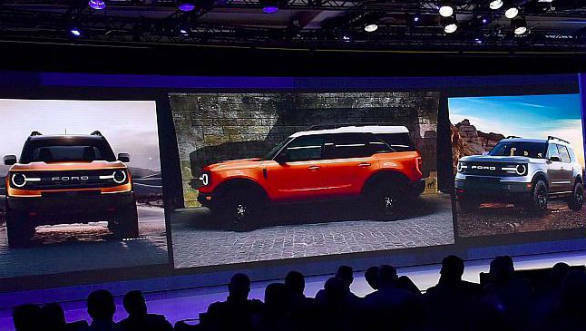 Leaked images have surfaced from an internal Ford event in the US which shows what could possibly be the carmaker's upcoming Ford Bronco SUV undisguised. There is also some chance that this could be the smaller so-called 'Baby Bronco' SUV. The picture shows a car that looks heavily inspired by the original Bronco which debuted in the mid 1960s. The front fascia gets a round LED light signature, a flat-faced front end with Ford lettering and boxy styling throughout. The flat contrast roof, diagonal C-pillar and slight kink in the window line after the second row are other unique touches which also hark back to the original. The Bronco will compete squarely against the Jeep Wrangler, but unlike that car will most likely feature monococque construction. The SUV could be based on the Ford Kuga/Escape or eevn the slightly larger Ford Edge SUV. Powertrian options will likely include a V6 petrol, a four-cylinder petrol and a hybrid version too. 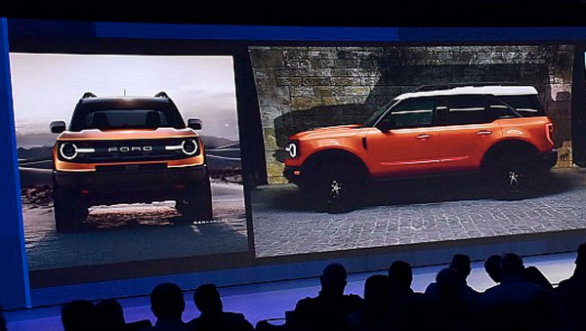 The Bronco will eventually spawn a full line-up of SUVs based on a similar design language. These will possibly compete with cars like the Jeep Compass and Jeep Renegade. 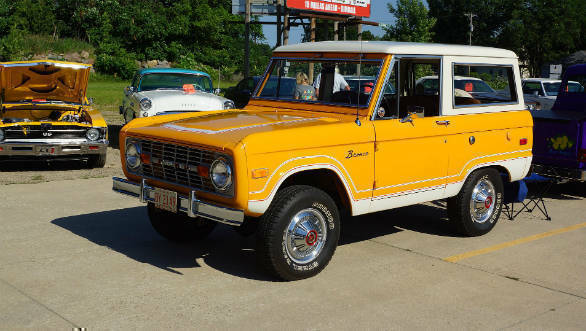 The Ford Bronco was one of the more iconic Ford models in its time, developed at time when Ford was fresh from the success of the Mustang and looking to offer more options to the prolific car buying public of the time. It was built over five generations from 1966 to 1996 and has now gained cult status among enthusiasts, thanks in no part to its strong connect to pop culture. This is especially true to the first gen model with its simple design language and strong off-roading ability.